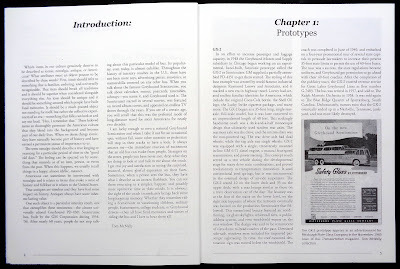 The right-hand page has one long paragraph. 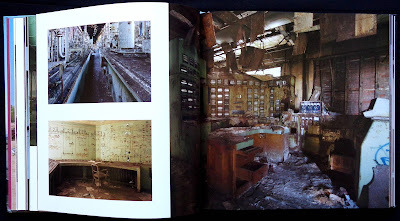 No color correction to even up the quality of the photos. 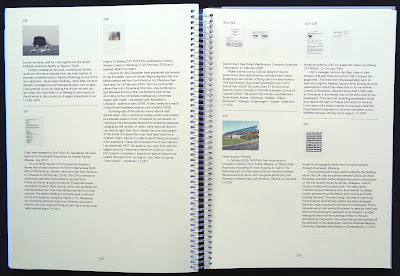 This page layout is repeated again and again and again. Nearly all the pages have grey bland looking mono photos. 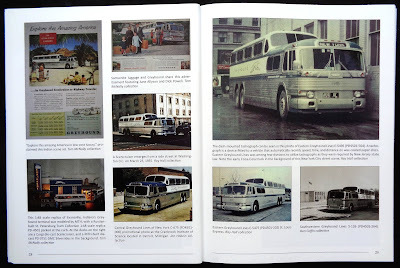 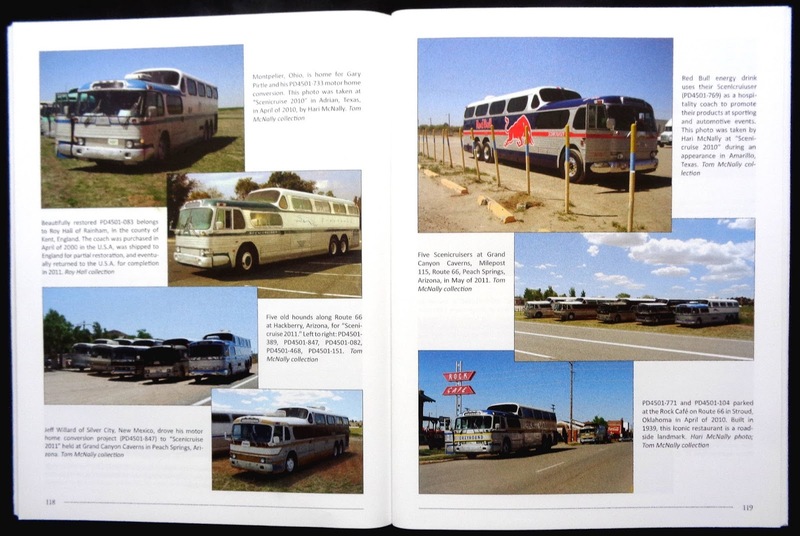 A rather tacky looking and amateurishly produced book about America's finest bus. 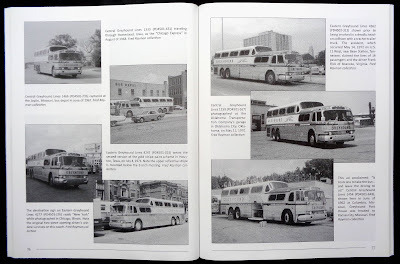 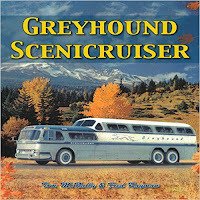 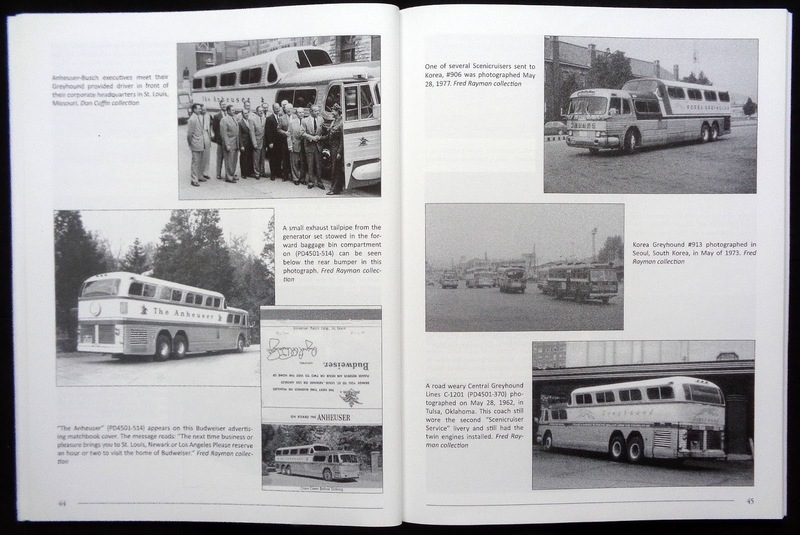 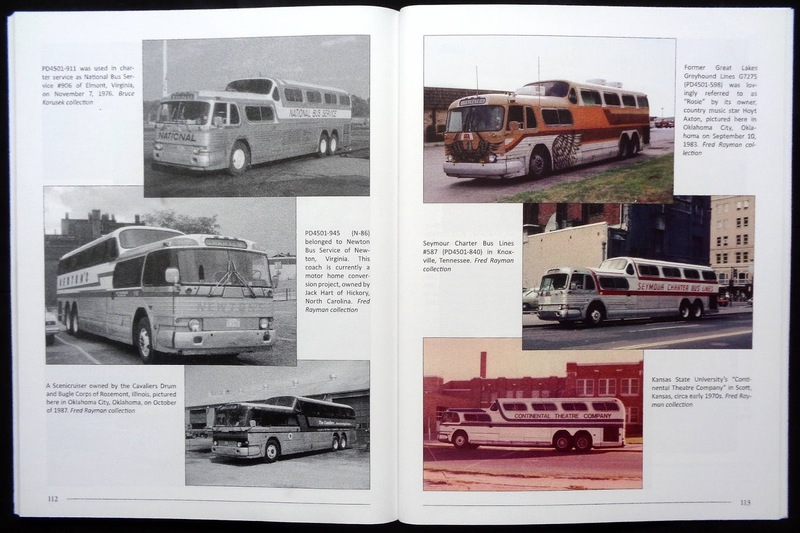 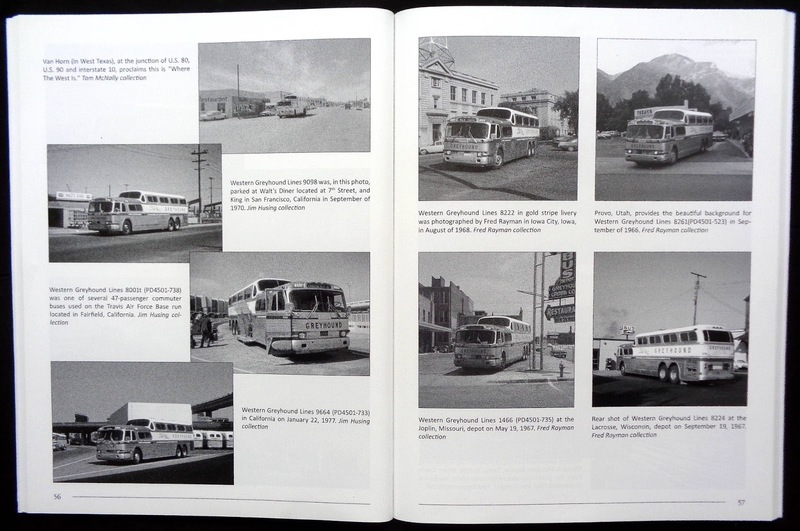 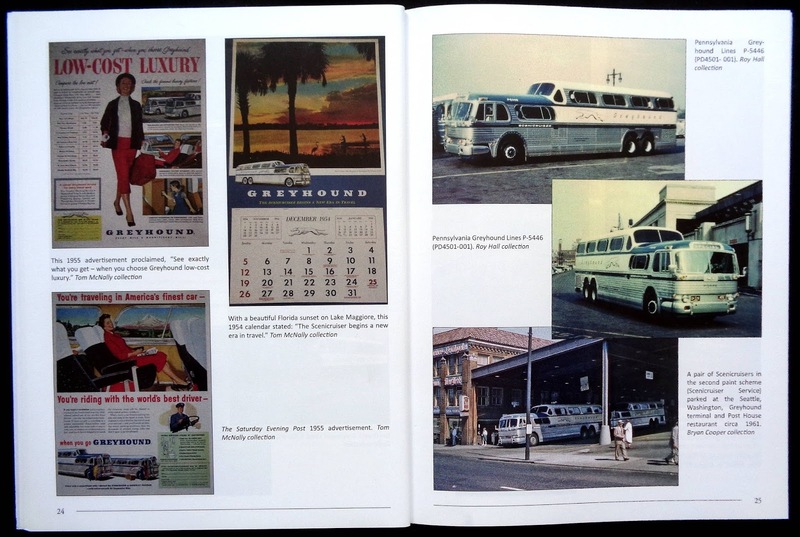 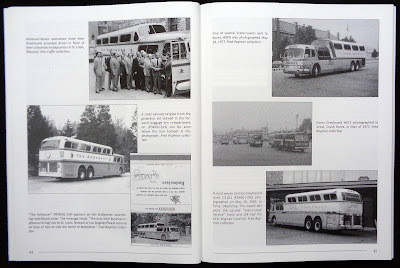 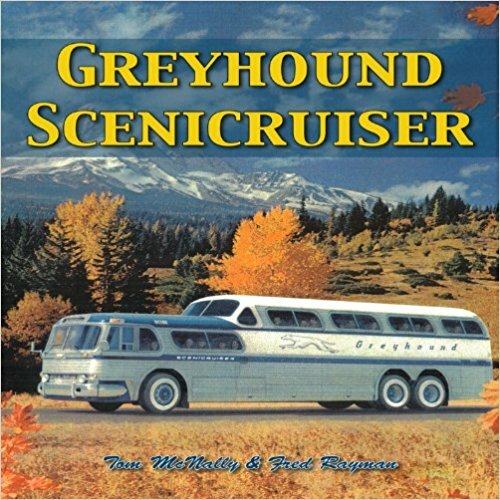 The basis of the contents are dozens and dozens of amateur snaps, in color but mainly black and white, of the Scenicruiser run by Greyhound and in later years when it was operated by other companies or individuals. The two authors know their technical history of the bus but they aren't writers and it shows, paragraphs are hundred of words long and Iconografix don't seem to use editors or designers to turn the words and photos into a professionally produced book. 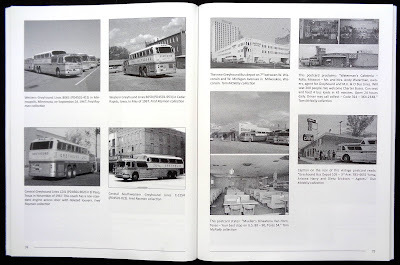 The upright format isn't the best way to display most of the photos which are landscape (Iconografix other bus archive titles are landscape) and there are pages of them mostly with the same layout and almost all exteriors ones. Where are the interior shots? 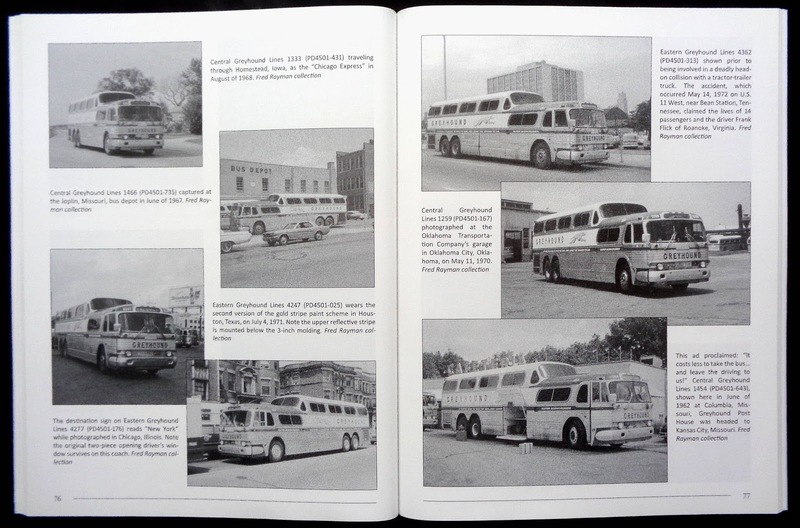 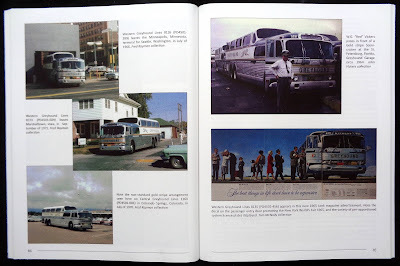 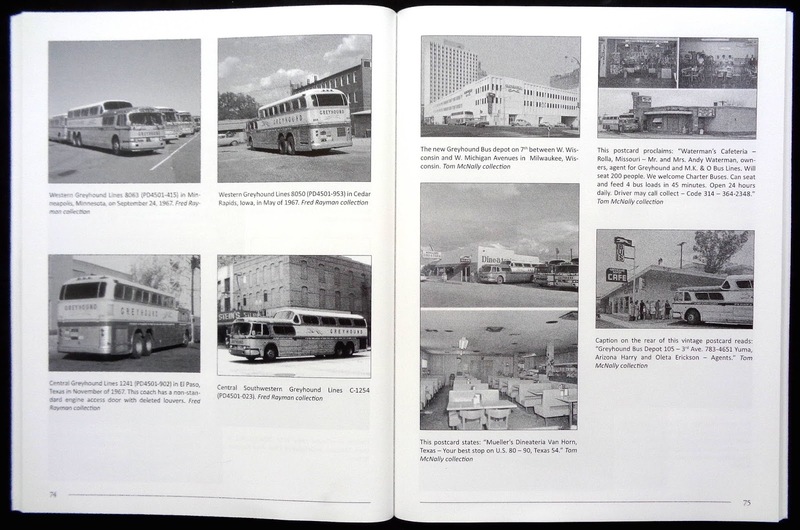 A worthwhile chapter would have been a portfolio of photos showing every aspect of the inside (including the engine) the publisher's should have send a snapper to the Greyhound Museum in Hibbing to photograph inside their Scenicruiser. None of the color photos show any signs of process work to even up the quality and black and whites come out as a bland grey with no real blacks in them. 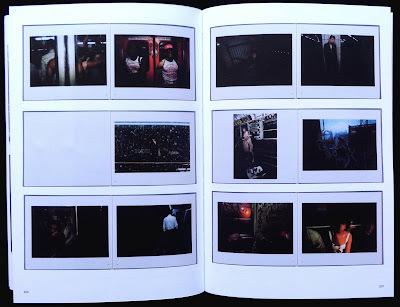 Overall the book looks no more than a huge collection of very similar photos just tipped into the pages with no real editorial judgement at all. 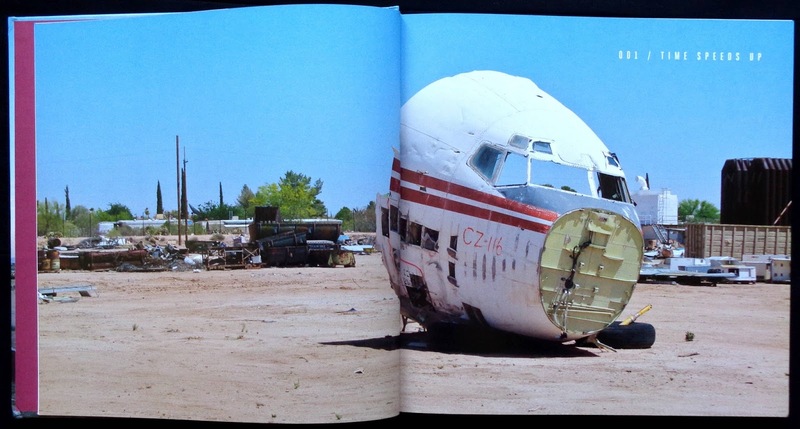 PD-4501 deserves better than this. 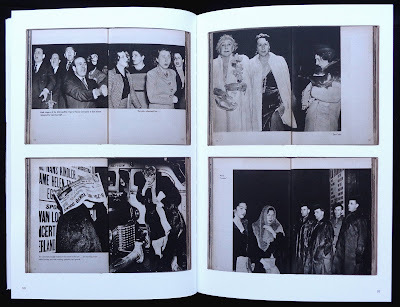 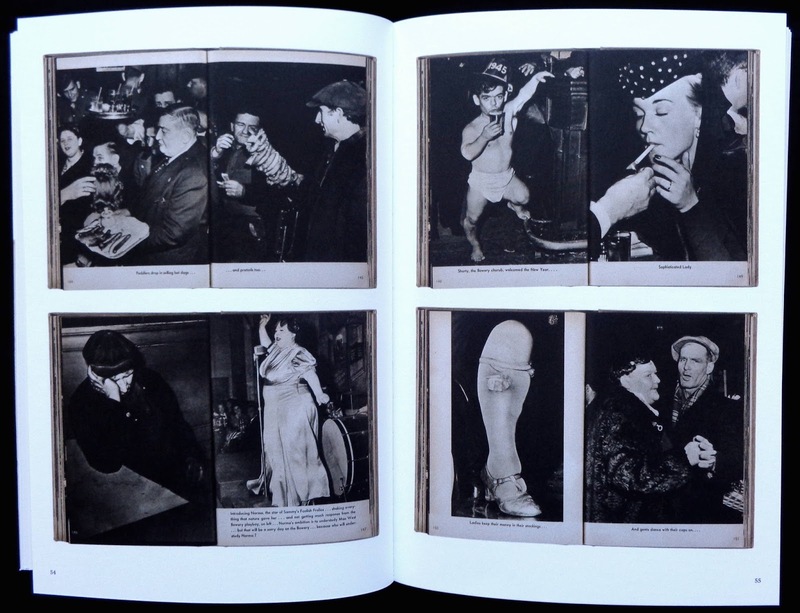 It says something for the world's premier city that this book could have been published any time in the last few decades and still been full of wonderful photobooks. 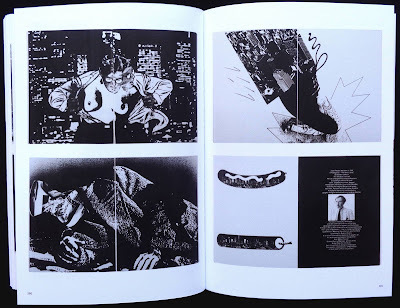 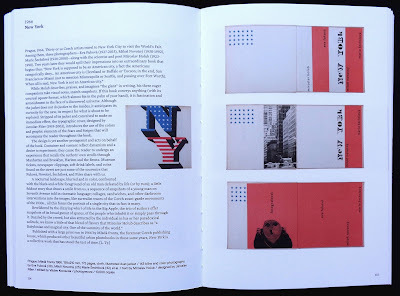 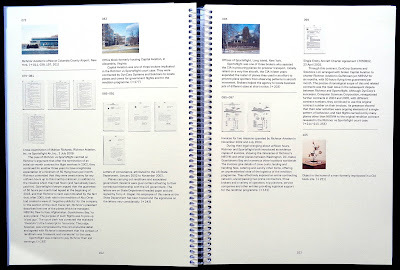 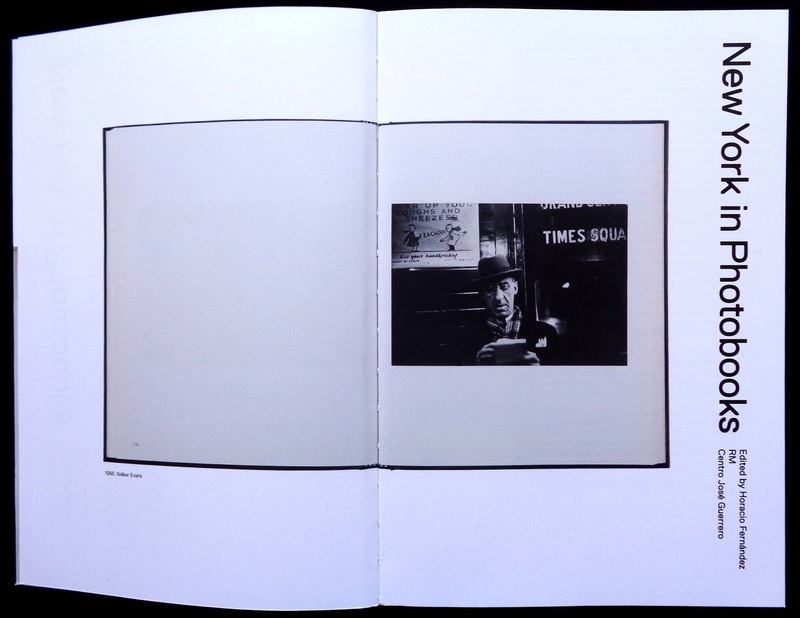 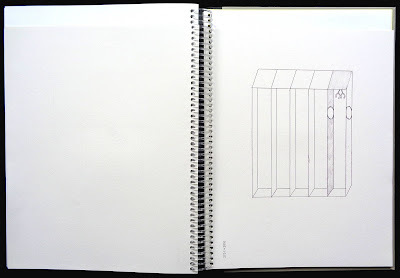 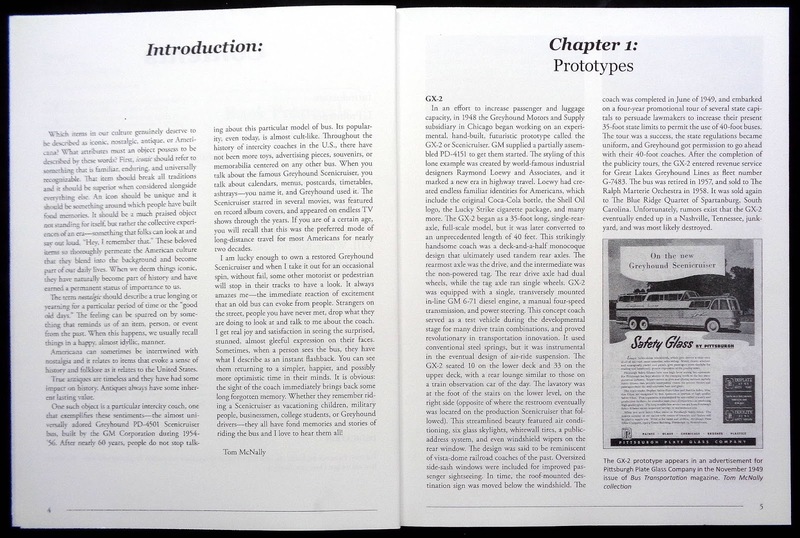 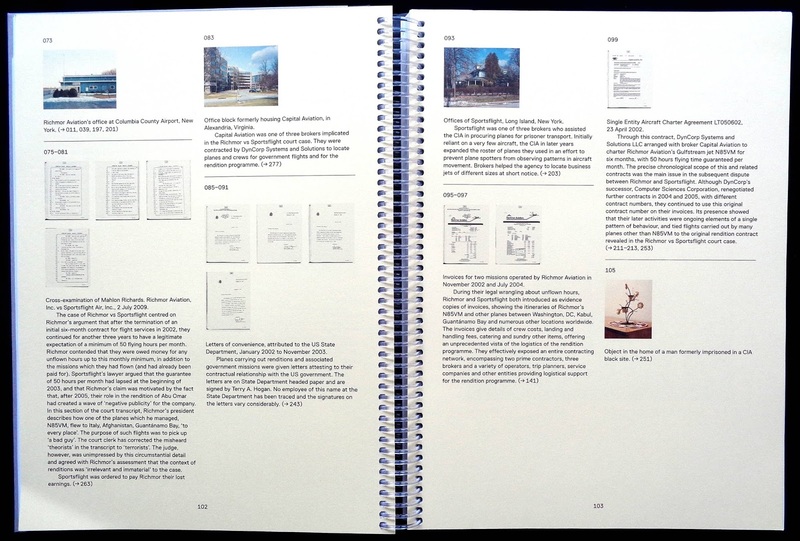 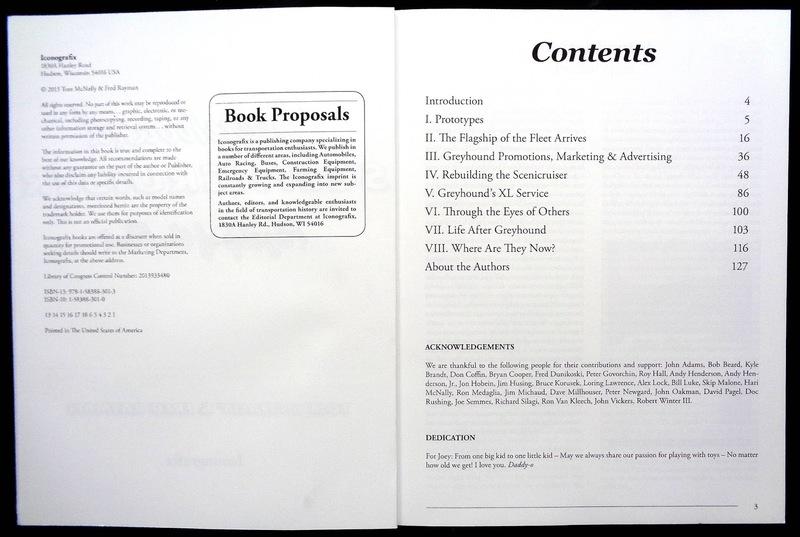 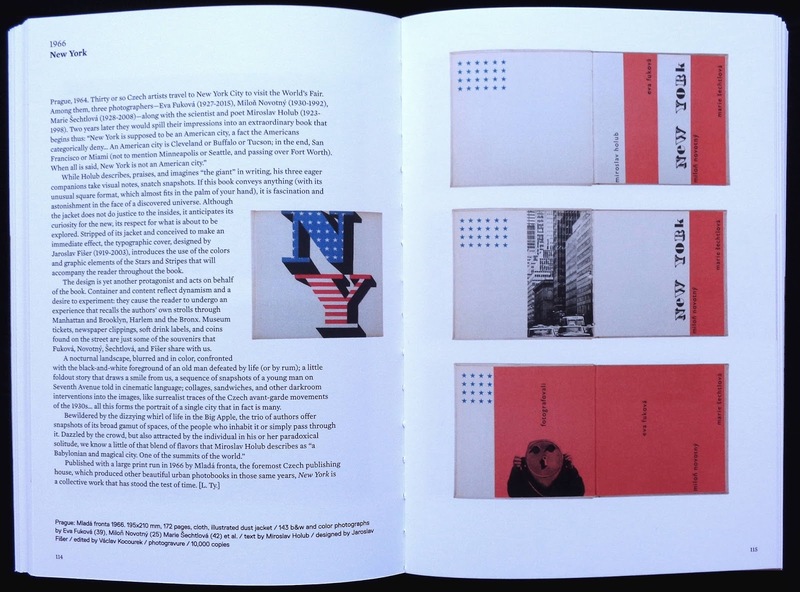 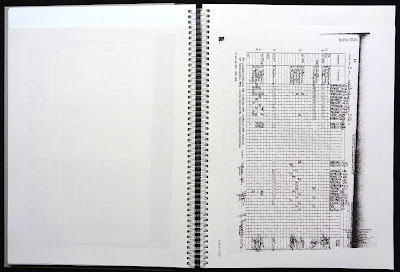 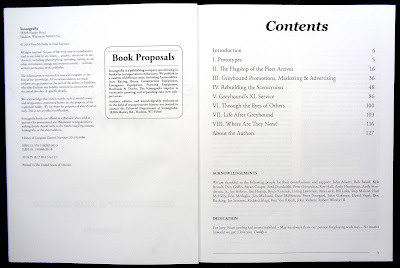 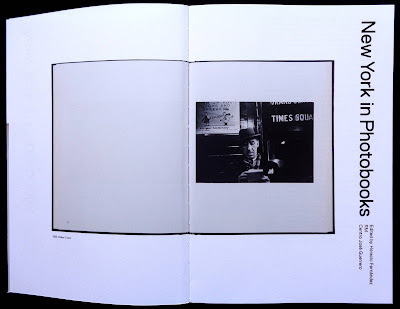 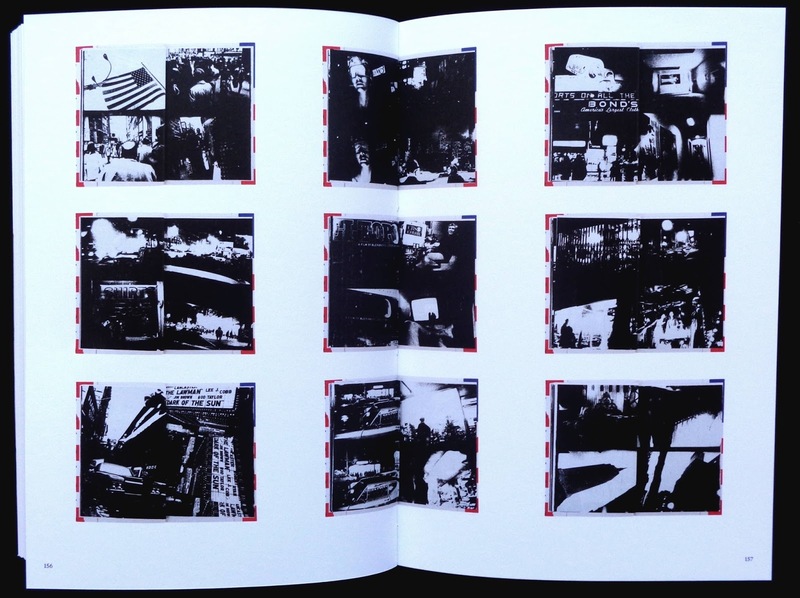 There are forty-nine titles considered and each gets an initial page with a long essay combined with a largish thumbnail of the cover then subsequent pages have reproductions of several inside spreads from each book. 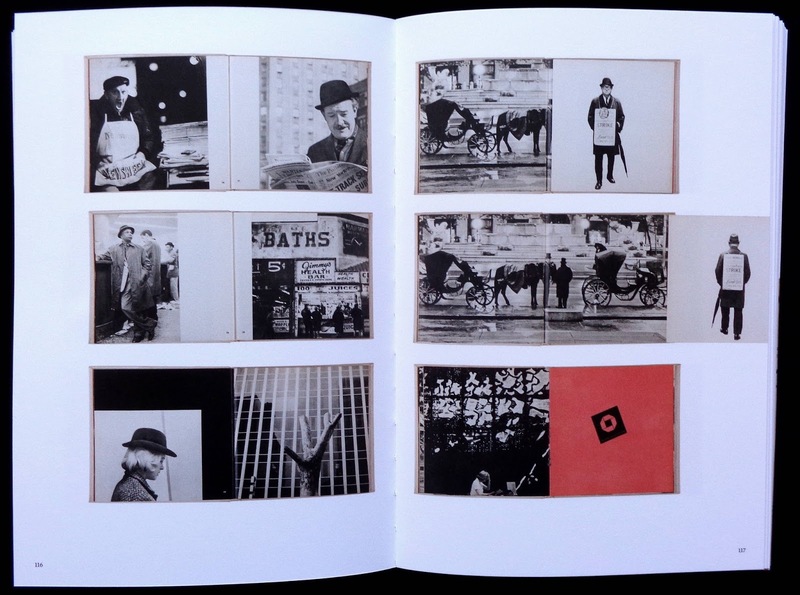 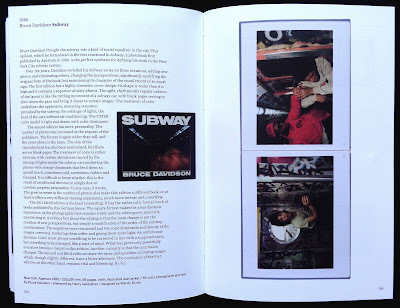 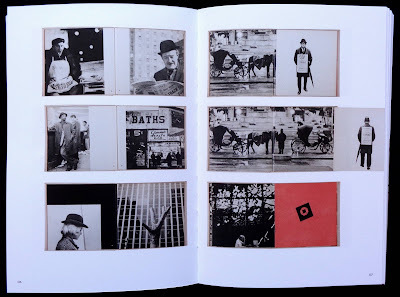 I think it's worth saying that these are what might be considered art photobooks rather than those bland city tourist ones full of color photos sourced from image libraries. 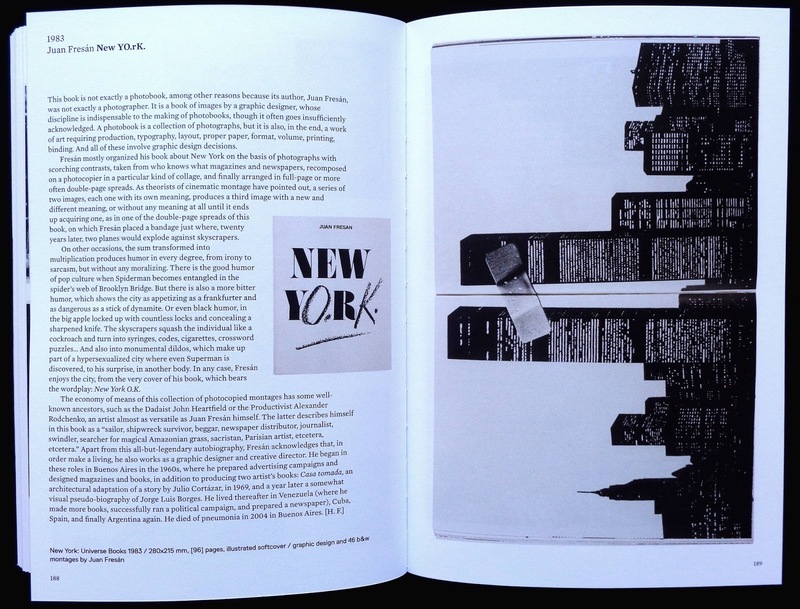 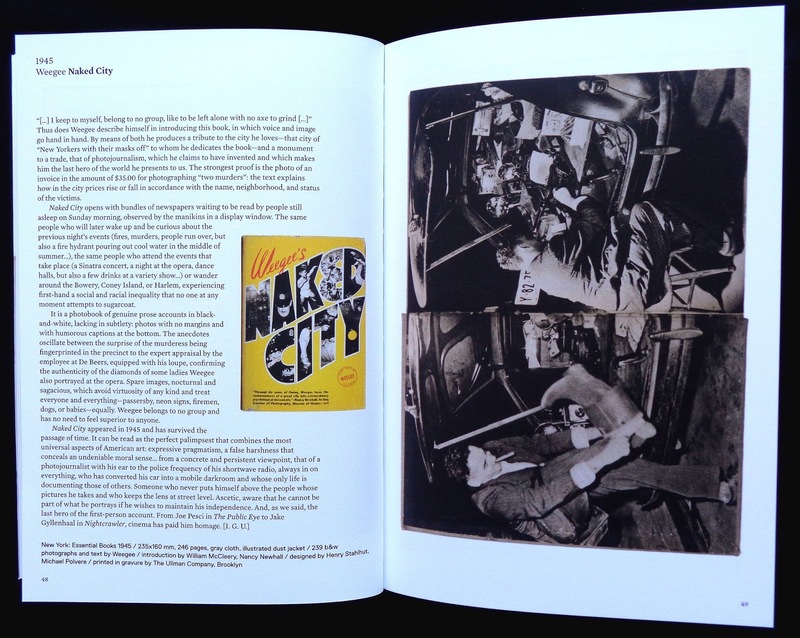 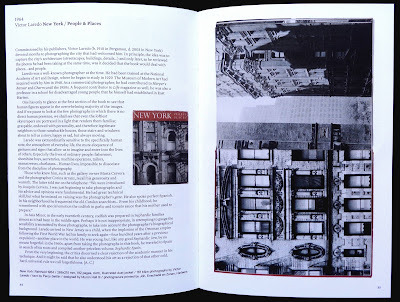 The first book (or rather a forty-eight page brochure) is the 1931 published Empire State with photos about its construction, eleven other books, including Abbott's Changing New York, Weegee's Naked City and Klein's Life is good for you in New York take the reader up to 1960. 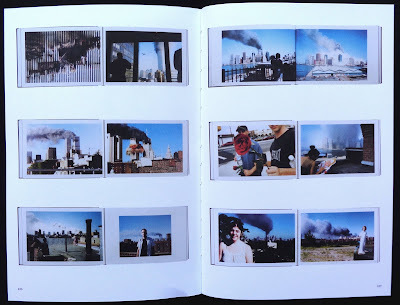 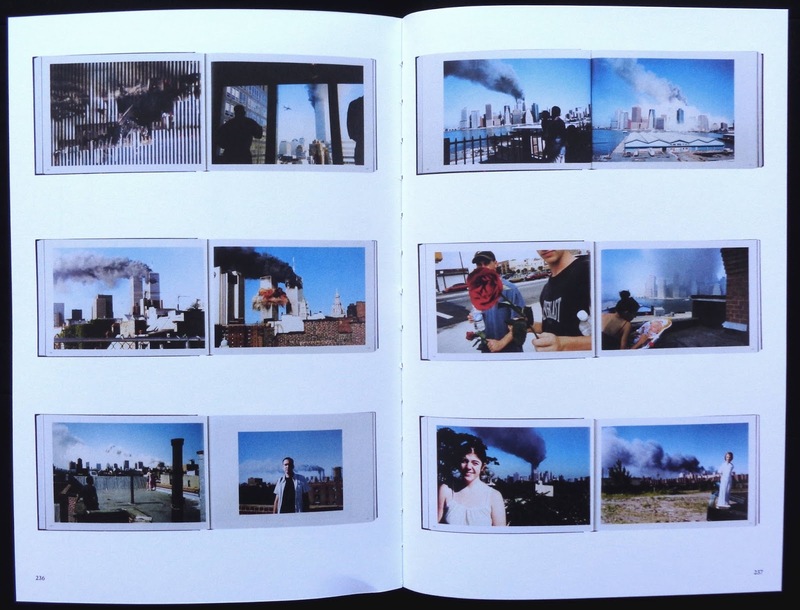 The remaining thirty-seven books run up to 2002 with last one the Swiss published 'Here is New York' dealing with 9/11. 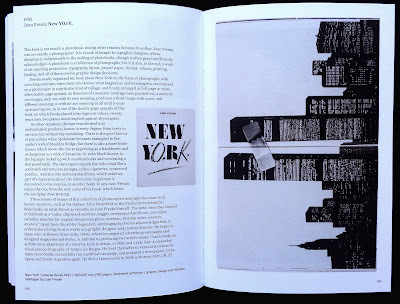 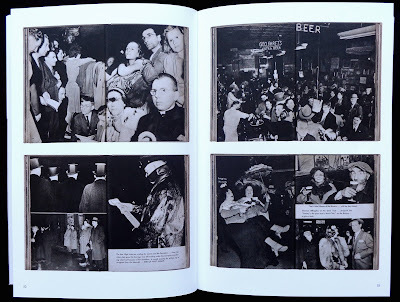 What I liked about this book is the chance to see foreign published ones with the work of photographers I hadn't heard of but oddly there is nothing from Andreas Feininger who had at least two books of his city photos published. It's unfortunate that this is a paperback with the pictures printed in four-color black using a 175 screen. 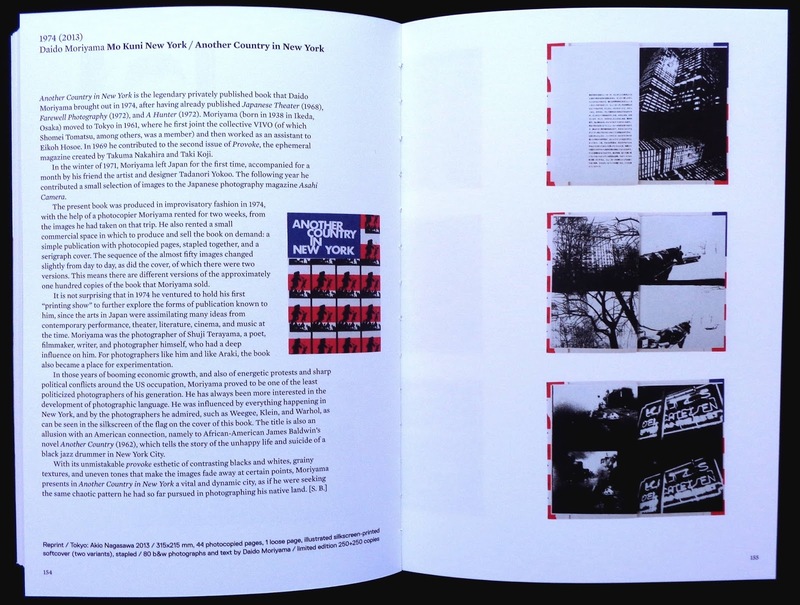 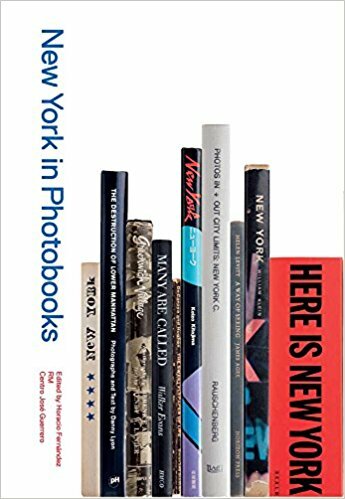 I would have happily paid more for a larger book using a good art paper for better reproduction of these fascinating New York photobooks. 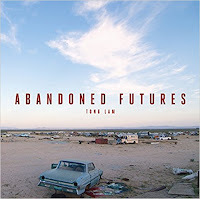 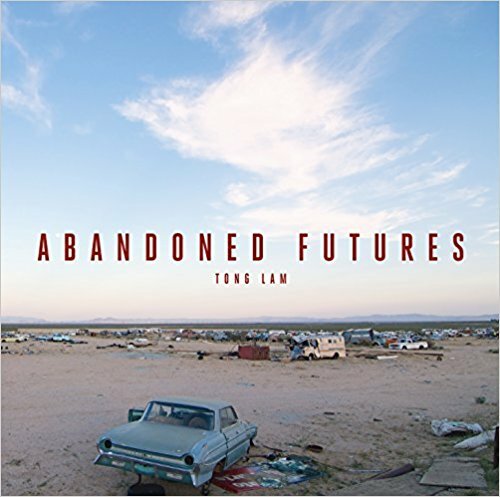 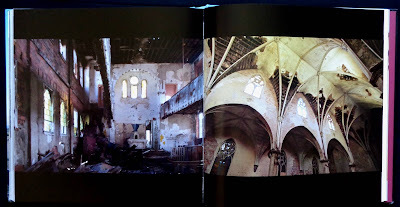 Another abandoned world photo book from Carpet Bombing Culture who are probably the leading publishers of this book genre. 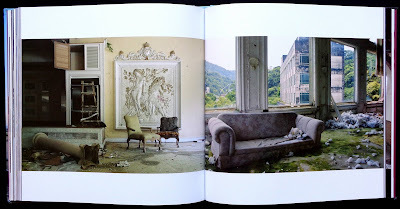 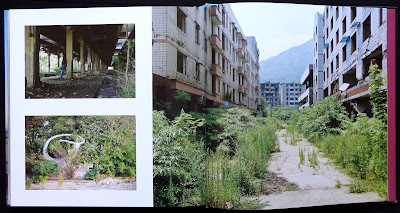 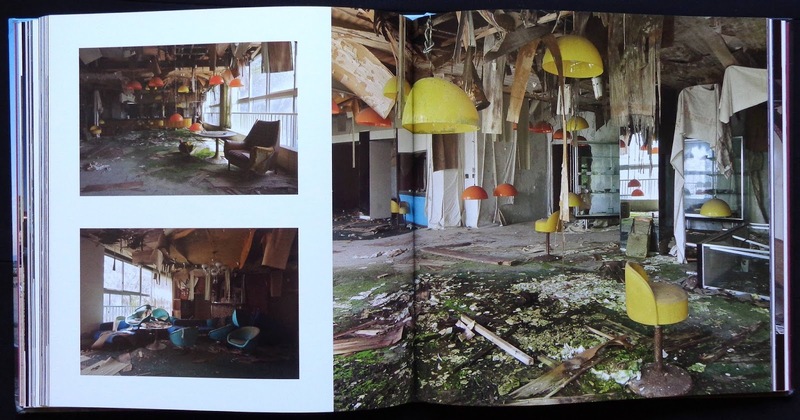 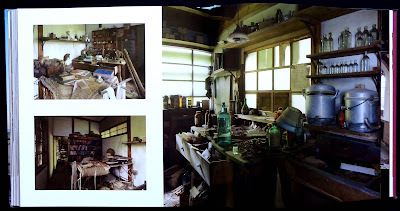 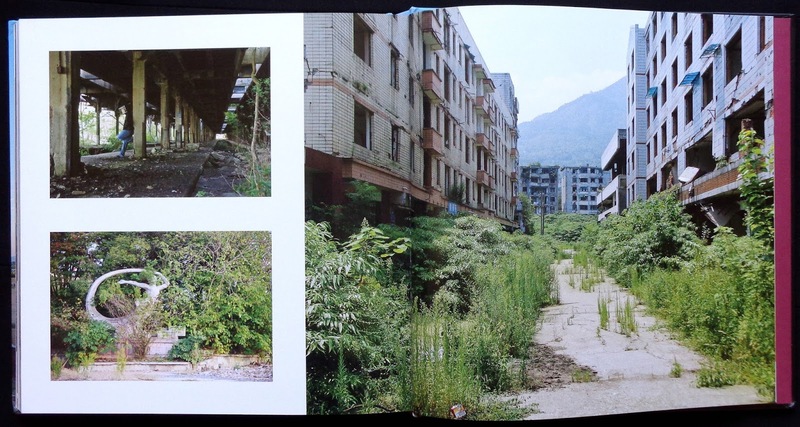 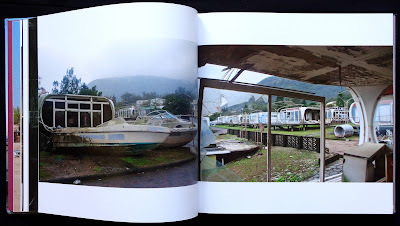 Photographer Tong Lam has travelled around the world to capture a collection of junked structures with, of course, two of the regulars: Detroit and Mitsubishi's Hashima Island, Japan but he also found other places that produce fascinating photos for the eleven chapters. 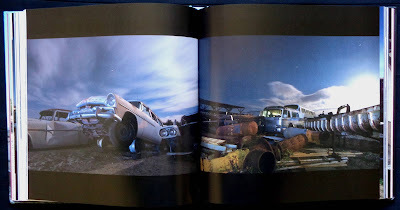 Chapter five looks at auto scrap yards with some very atmospheric shots taken at dusk. 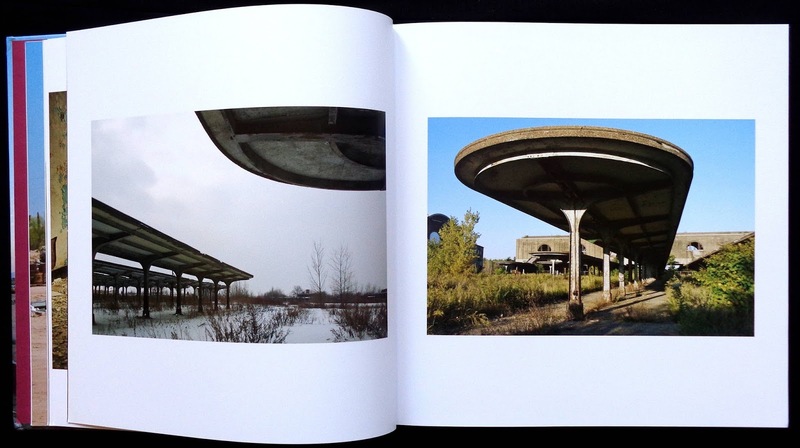 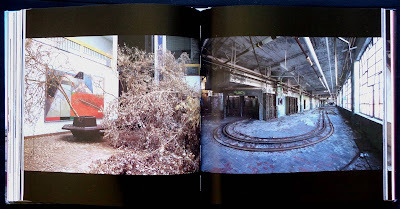 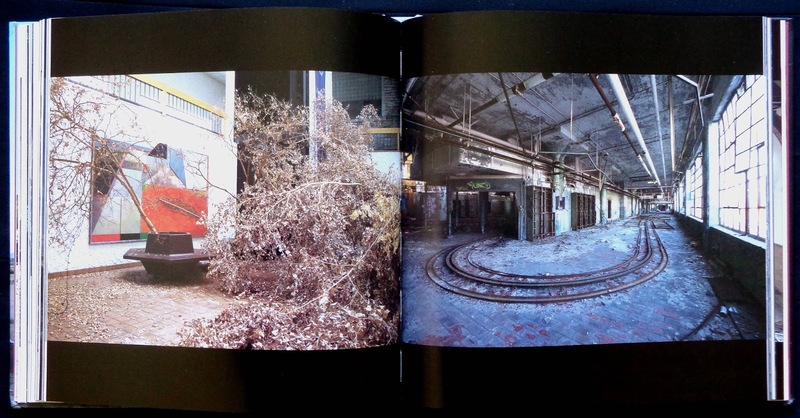 Chapter seven Pleasure spots, covers abandoned amusement parks, in America, revealing essentially lightweight construction quickly falling apart and providing colorful images. Each chapter starts with a brief essay and description about the following pictures. I thought some of this text was rather predictable, it assumes that abandoned buildings is an ever growing problem but the space taken up by these is insignificant when compared to land used for man-made activity around the globe which itself occupies only a small amount of the total land mass. 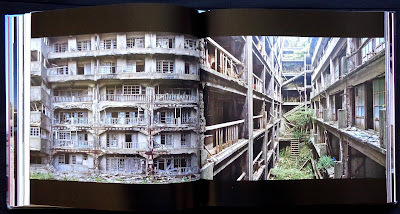 The left behind culture is a by-product of the market economy where there is no obligation for companies to remove what they built when it becomes surplus, it's just easier to walk away. 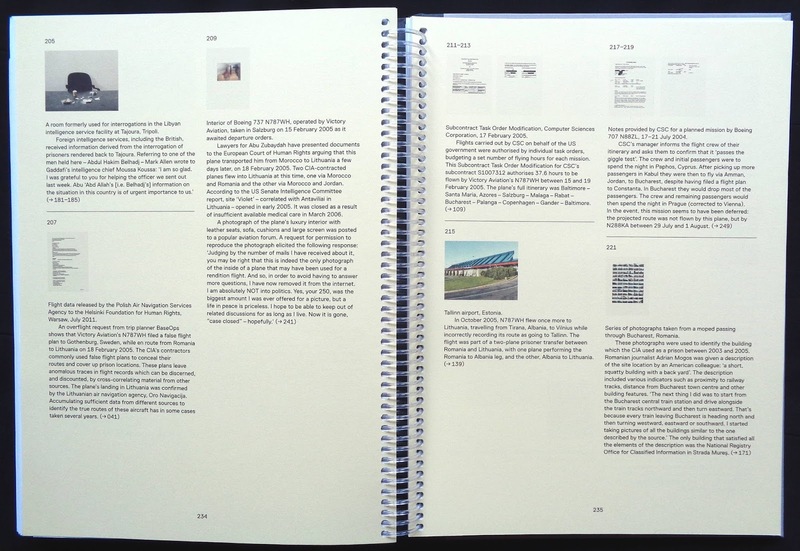 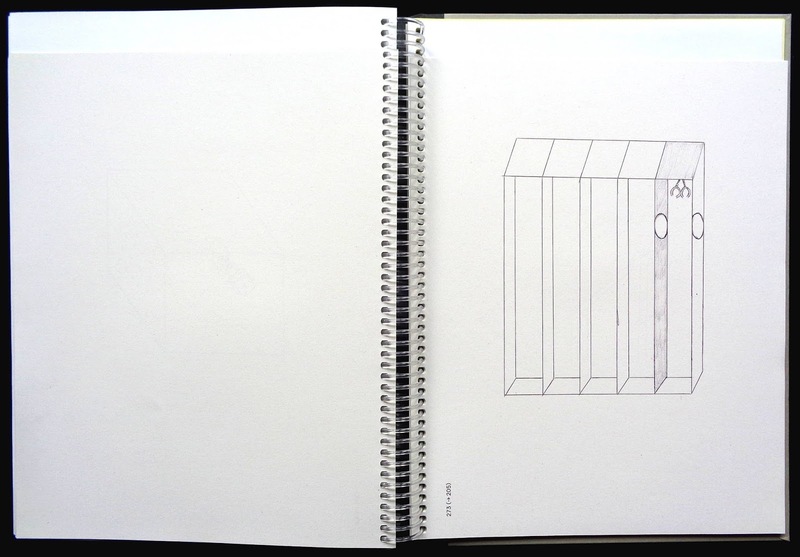 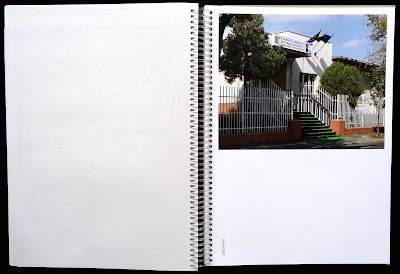 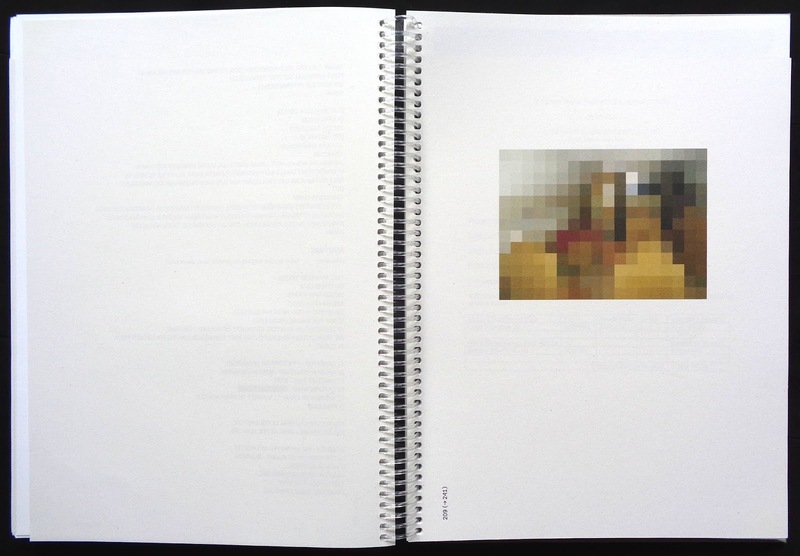 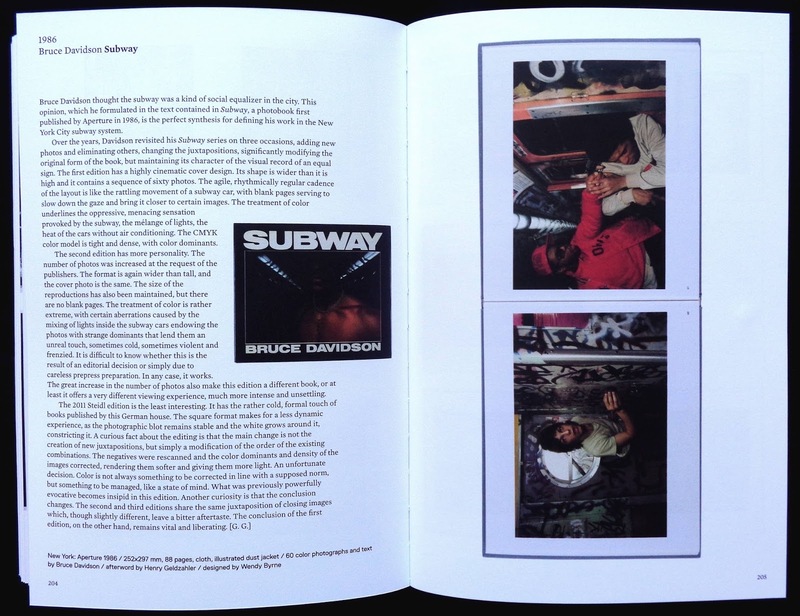 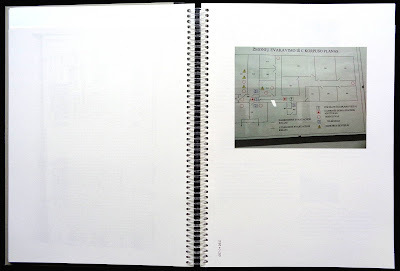 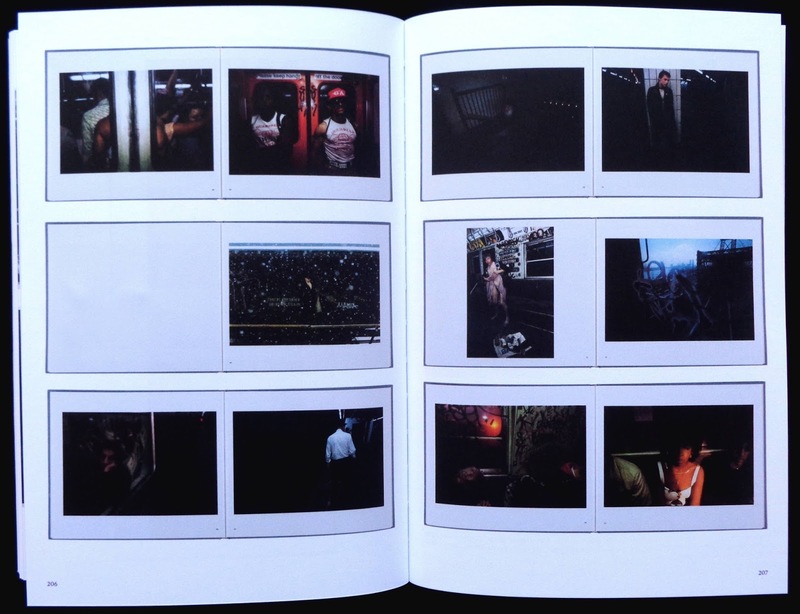 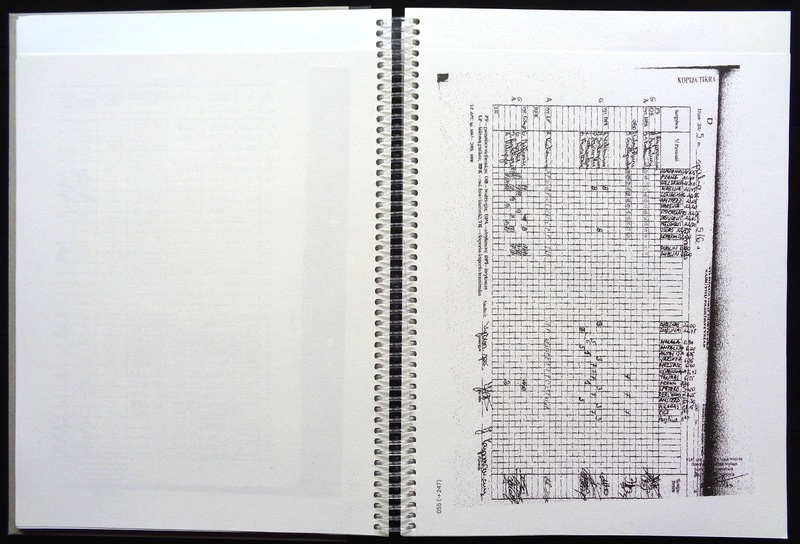 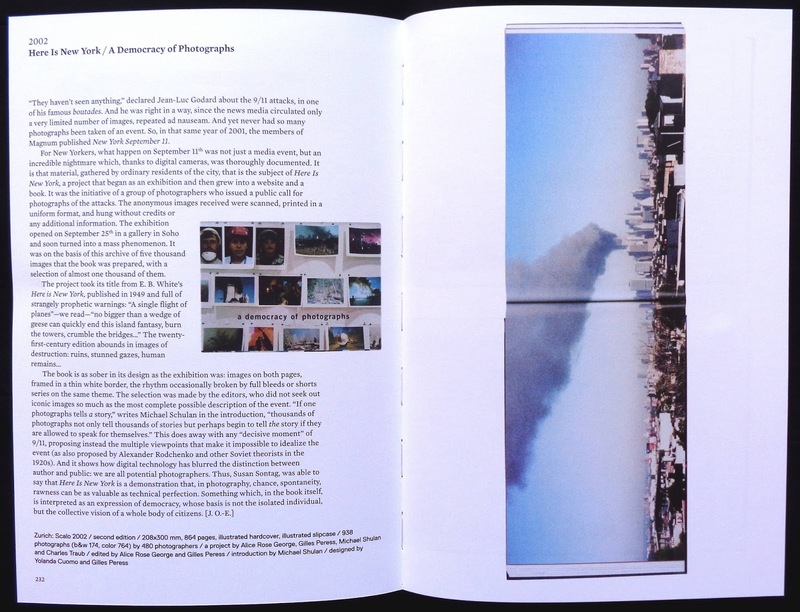 The photos, printed with a 175 screen, work well in the book's square format. 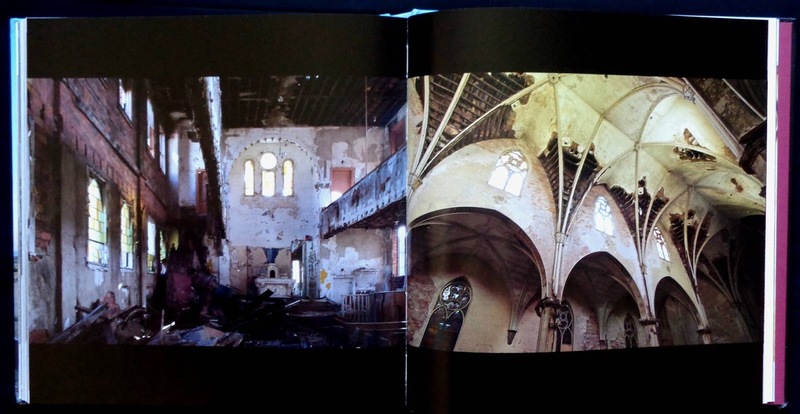 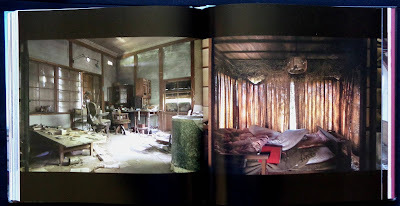 The layout is picture book style rather than an art photo book presentation. 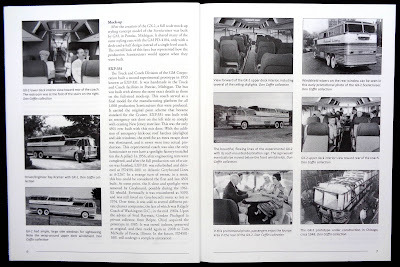 There is a slight annoyance because none of the photos are captioned and there are no page numbers either. 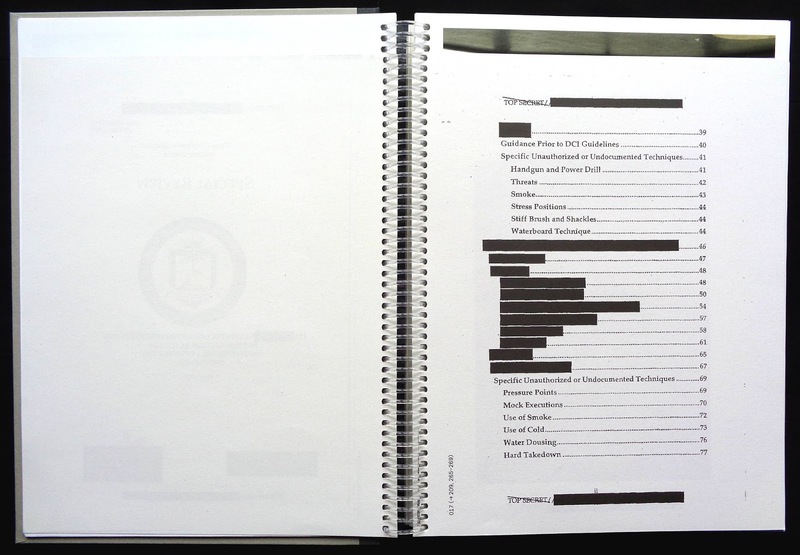 A well meaning but rather lightweight look at the CIA rendition program up to 2008. 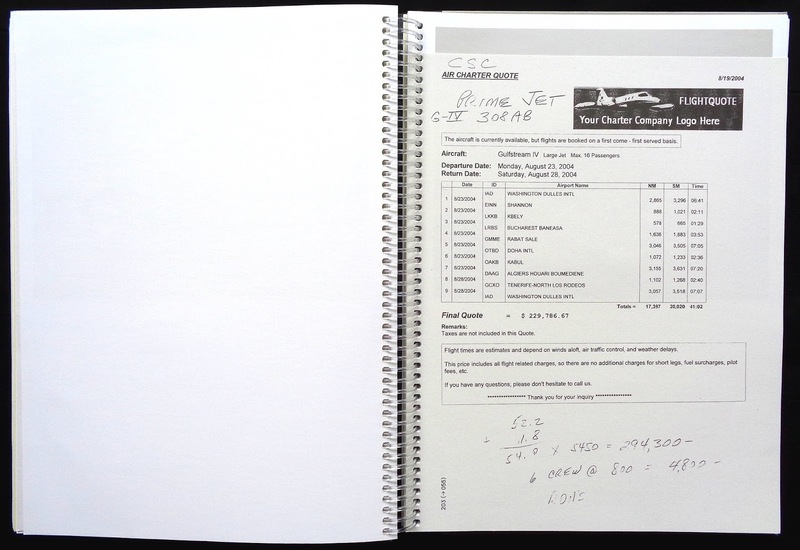 The book is made up of some brief essays about the program and lots of official document facsimiles from American and European sources confirming the flight plans of private jets hired by the Agency to transport prisoners to other countries to be tortured, other official documents (not in English) confirm the sites of some secret prisons. Interspersed throughout the book are several yellow pages that have thumbnails of all the documents and photos with long captions explaining their significance. 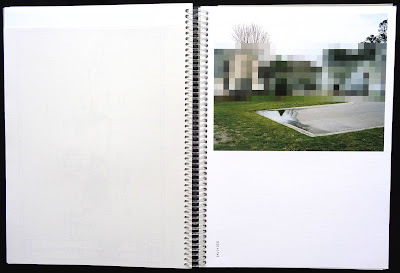 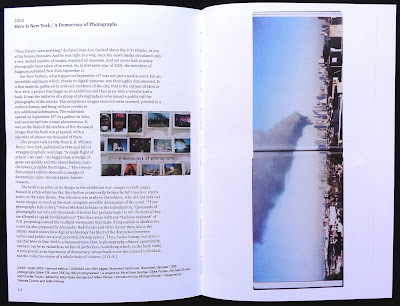 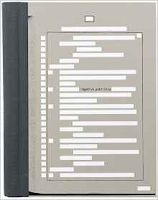 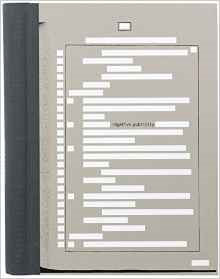 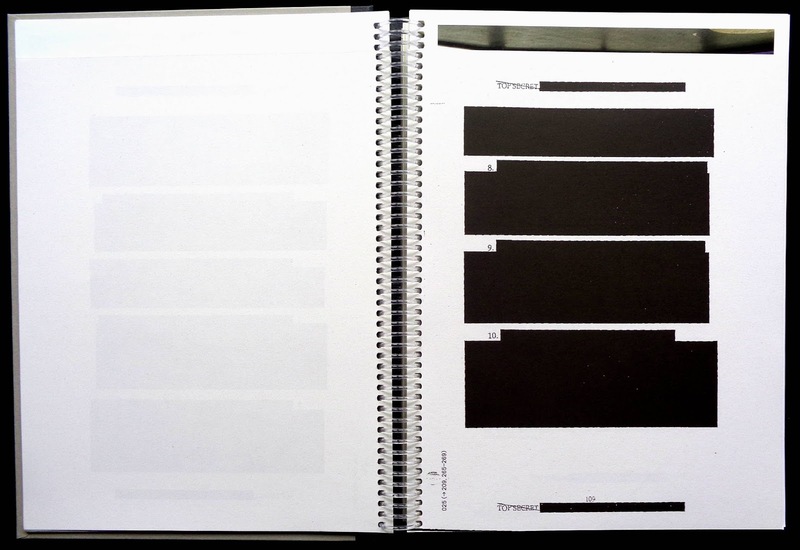 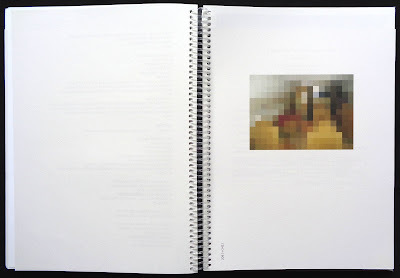 This seems an unusual book for Aperture to publish though it does have thirty-six photos (printed on better paper than the facsimile pages) by Edmund Clark taken at various sites mentioned in some of the documents: airports; prisons; government buildings; private houses. 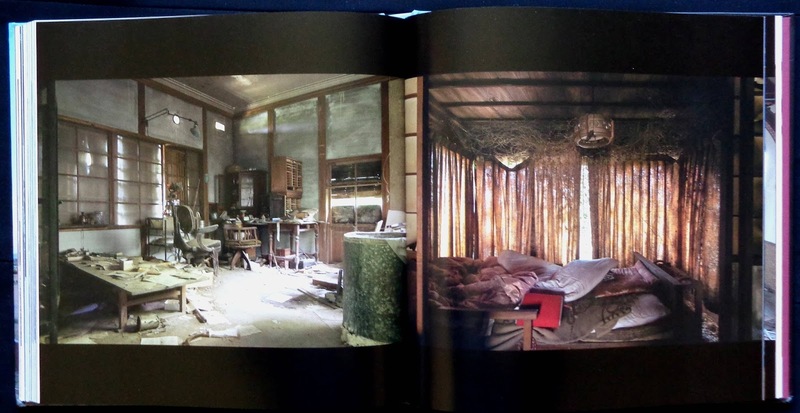 Some of these photos have a rather tenuous connection to the purpose of the book, one on page 193 shows the bedroom of the son of a former CIA prisoner, the room isn't mentioned in any documents. 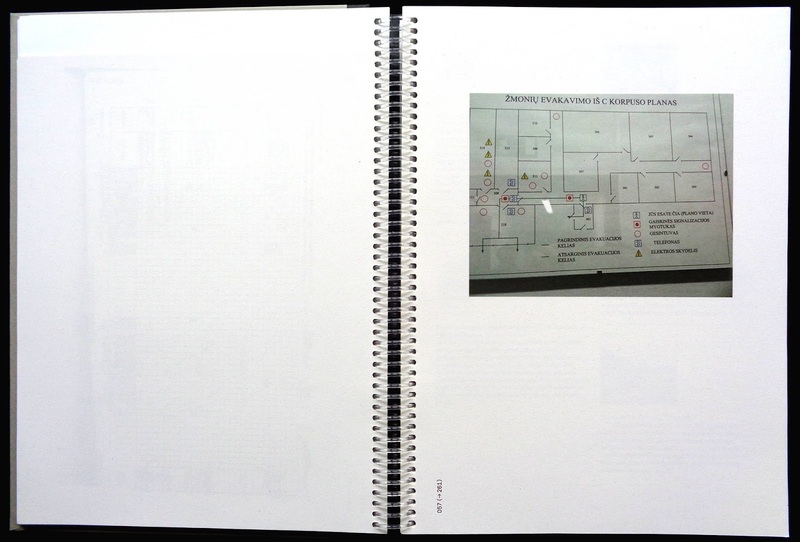 I found it odd that several prisoners are named in the documents but none have a photo in the book. 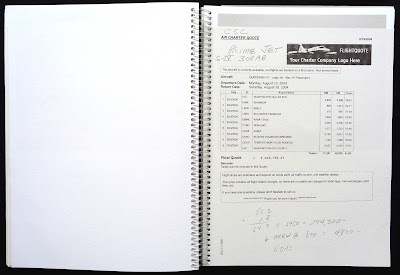 There are 292 pages and because of the three different kinds of papers used it's spiral bound. 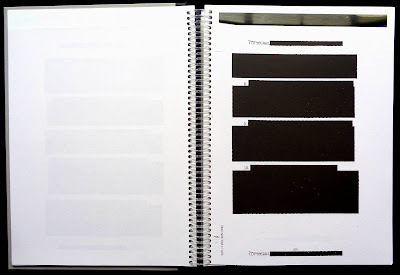 Whether this CIA program of illegal rendition and outsourcing torture had any success in saving lives is impossible to say (someone probably knows though) but if it did the number must be an incredibly small percentage of more than 400,000 Americans killed by gunfire between 9/11 and 2016 (reported in The Economist). 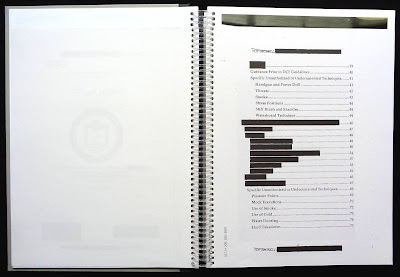 Incidentally, Clifton Black, one of the authors, also contributed to the website The rendition project a very comprehensive analyses of the subject.